The Conservative Political Action Conference (CPAC) grew in influence and popularity since its foundation in 1974; carrying with it a legacy of key speakers and memorable moments. As we roll into this year’s conference, let’s take a look at some of CPAC’s most unforgettable moments. Former New York City Mayor Michael Bloomberg called for regulations on sugary drinks like soda in cups larger than 16 ounces. In an effort to combat obesity rates in the state, Bloomberg ultimately made himself the laughing stock of 2013’s CPAC conference. During Sarah Palin’s speech, she took a swing at the mayor after drinking soda from a large Big Gulp cup. Audiences bellowed in excitement and laughed uncontrollably. “Oh Bloomberg is not around, our Big Gulp is safe,” she said. Political talk show personality Rush Limbaugh gave his first passionate speech at CPAC against Obama’s left-wing agenda after the former president’s first year in office. "Where the hell do we get to compromise when we believe in our principles?" Limbaugh said. "It's a tough challenge, but it's worth it." He also warned conservatives not to give in to the fear of being labeled a racist for criticizing the former president’s decisions. "The racism in our culture was exclusively and fully on display in the Democrat primary last year," Limbaugh said. "We didn't ask if he was authentically black. What we were asking, was, 'Was he wrong?' We concluded, 'Yes.'" Eventually, the protestor was led out by security, with the president smiling as he left. While the event may not deserve a headline, it does deserve a mention in this list. 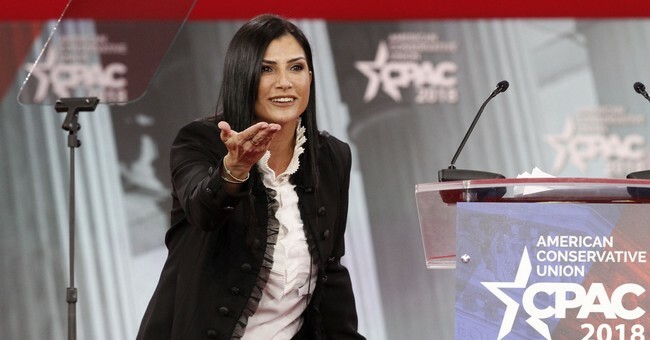 Dana Loesch, spokesman for the National Rifle Association, spoke at CPAC 2018 about why the U.S. continues to see active shooters. Loesch blamed the FBI and other agencies for failing to check up on potential threats and protecting the American people. Loesch brought the point home by mentioning the members of the NRA, who are made up of real people concerned for their safety and the safety of their children. The progressive left was at the hight of their reign prior to the 2012 election. And while Mitt Romney was selected to be the right-wing champion against Barack Obama's second term, he proved to be incapable of taking the White House. Ann Coulter knew the difficulty conservatives had to face in order to win the presidency and shared it with her audience at CPAC 2012. "Obama is going to be very difficult to beat this year," she said. "Number one, he's an incumbent. Number two, Americans keep telling pollsters they like him personally. Don't like his politics but they like him personally. He's our first black president and the NFM, the non-Fox media, is ga-ga about him." Coulter went on to talk about how Obama had great charisma in his political career, but found the opportunity to poke fun at his politics, leaving the audience laughing hysterically. "He'd probably make a lovely next-door neighbor," Coulter said. "Unless you're Chinese, then he'd be constantly borrowing stuff." This year's CPAC will be held Wednesday, Feb. 27 to Saturday, March 2.